The beginning of every new calendar year can bring potential changes to Medicare drug plans. Yearly revisions can directly affect the list of drugs available for coverage, as well as personal drug costs and premiums. Furthermore, the roster of available plans shifts. This is done as certain existing plans are phased out, in favor of introducing new forms of prescription-based services. As a consequence, it is crucial to conduct a regular assessment of your Medicare drug plan choices. By reviewing options each year, it is possible to maximize the potential of your personalized plan. To achieve optimal coverage from a drug plan, it may be wise to switch. Fortunately, the process of transferring to a different plan is actually quite easy if you choose this path. When is it appropriate to switch Medicare drug plans? From October 15 to December 7 every year, the Open Enrollment Period (OEP) is initiated. This is the time-frame for all plan changes to be accepted. Typically, this is the only allotted window for plan members to drop, join or switch. However, special circumstances can qualify an applicant for a Special Enrollment Period (SEP), which can expedite the process in urgent cases. How do I start my switch between Medicare drug plans? Switching Medicare drug plans is remarkably easy and streamlined. In effect, when you file to join a new drug plan, your previous enrollment will automatically be dissolved. As a convenience, membership in the current plan will cease upon your acceptance in a new one. You may decide to enroll in a new drug plan during the Open Enrollment Period’s standard date range. If so, the updated coverage will take effect on the following January 1st. In conjunction, prior plan coverages will expire after December 31. Remember, these dates are contingent on meeting the sign-up deadline of December 7. On its own, a Medicare prescription drug plan can grant coverage by itself. The program works to cover all eligible medications. And, it can be accessed as a singular entity. This method of drug coverage also applies to recipients of the Medicare Advantage system. In addition to providing Part A and Part B coverage, the Medicare Advantage Health offers limited drug options through Part D.
This fee will be assessed 12 times per year. It represents the sum cost of our drug plan through Medicare. Premiums can drastically vary from one plan to the next. And, many Medicare Advantage members can receive a recurring monthly premium of $0. But it’s important to note that premiums are not the only factor to consider. Remember to weigh all components of each plan before making a final decision. Before committing, make sure to check the list of drugs that qualify for coverage. And, you should make sure that your preferred doctor networks are being supported. This figure represents out-of-pocket drug expenses that will need to be paid before the plan coverage is initiated. In 2019, the largest charge for a drug deductible was $415. In contrast, there are some plans that boast a deductible of $0. Do not be fooled by the appeal of this seemingly free flat rate. You should always make sure that the plan fully covers your medical needs before subscribing. Otherwise, the $0 surcharge can be a costly decision down the line. Once the deductible itself has been fulfilled, prescription drug purchases may mandate out-of-pocket copayments. This can apply to any drug as a flat fee. Meanwhile, other drugs may necessitate a coinsurance expense. This is calculated as a fraction of the total monetary cost. To organize their drug coverage program, Medicare categorizes drugs into separate groups. These classifications are known as tiers; they are used to assign your overall out-of-pocket obligations. The tiers are numerically ordered. Higher numbers equal increased personal expenses. For example, drugs in Tier 1 would be the most affordable. The coverage would lessen for each subsequent tier. It is important to remember that a drug can be in different tiers, based on the plan you select. Always aim to get your prescription medications in an optimal tier. In the end, the determination of tier categorizations is strictly at the sole discretion of the plan operators. Part D plans are each equipped with an individualized list of prescription drugs available for Medicare coverage. This comprehensively specialized database is known as a formulary. To certify maximum drug coverage, plan members should write a pharmaceutical list to cross-reference coverage choices. This simple strategy can help you find a program that will cover the bulk of your prescription needs. To simplify this step, look to the Web for some useful techniques of plan analysis. One essential asset is the drug plan comparison tool from PlanPrescriber. This adept application allows you to compare programs, based on intuitive internal calculations. This will reveal the overall costs, compared with premiums and benefits. Prior to switching drug plans, it is smart to assess the various coverage limits in place for each Medicare program. Ultimately, these barriers on coverage are implemented to derive maximum value. These methods rely on a wide range of tactics to inhibit costly services. “Prior authorization” is one key example of these measures in action. This clause mandates that a doctor must consult with the plan operators prior to prescribing a drug. In these cases, doctors must obtain explicit permission to provide treatment. This can cause fatal delays without expedient approval. “Step therapy” is another similar strategy employed by plans to lower overhead costs. This practice demands that patients try more inexpensive drugs, rather than more effective, costly medications. So, your plan can assign you a different drug in the same category as the one you were prescribed by the doctor. The expensive drugs are offered only when the cheaper drugs fail first. Lastly, “quantity limits” can also be enacted. These only allow a certain amount of a prescription medication to be purchased each month. If the limit is too low, patients can find themselves deprived of essential prescriptions. This means they will have to accept lower doses until they change plans. When the time is right, you will be glad that you learned how to change Medicare drug plans. This invaluable knowledge will grant you the power to make the shift at the optimal time. Having the ability to make the switch when you want to enables you to select the best plan for your unique medical needs and sensibilities. When you tender the application to switch drug plans, it is considered a binding agreement. Medicare Advantage Plans are exclusively issued through private businesses, with full certification. With Medicare’s support, these companies grant employees both Part A and Part B services. Medicare outsources the drug coverage itself to authorized insurance companies and private firms. Privatized companies also offer a Medicare Supplement plan. This is designed to cover any missing pieces in the standard Medicare plans. This extra service helps to ensure a well-rounded Medicare drug plan experience. 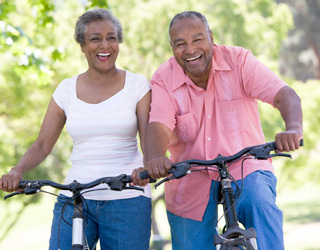 If you are looking to switch your Medicare Part D plan, check out our website, HealthNetwork.com. Here, you’ll find a wide array of prescription drug plans.